Take your banana bread to the next level by baking some sweet caramelized bananas into a scrumptious banana bread. After making this Caramelized Banana and Pecan Oatmeal, I knew I wanted something similar in bread form. Sometimes you need breakfast on the go, and oatmeal doesn't work too well. Banana Bread, on the other hand, works perfectly as breakfast on the go. And since you caramelize the bananas, this banana bread actually tastes sweeter and richer - even though you're using less sugar and butter! Caramelization == amazing! (No need to tell your kids - just have seconds or thirds ready!) Usually I'll just pinch off a piece of whatever bread I've made just to taste how it came out. This time, the whole slice disappeared before I even knew what happened! It's that good - seriously. What are you waiting for? 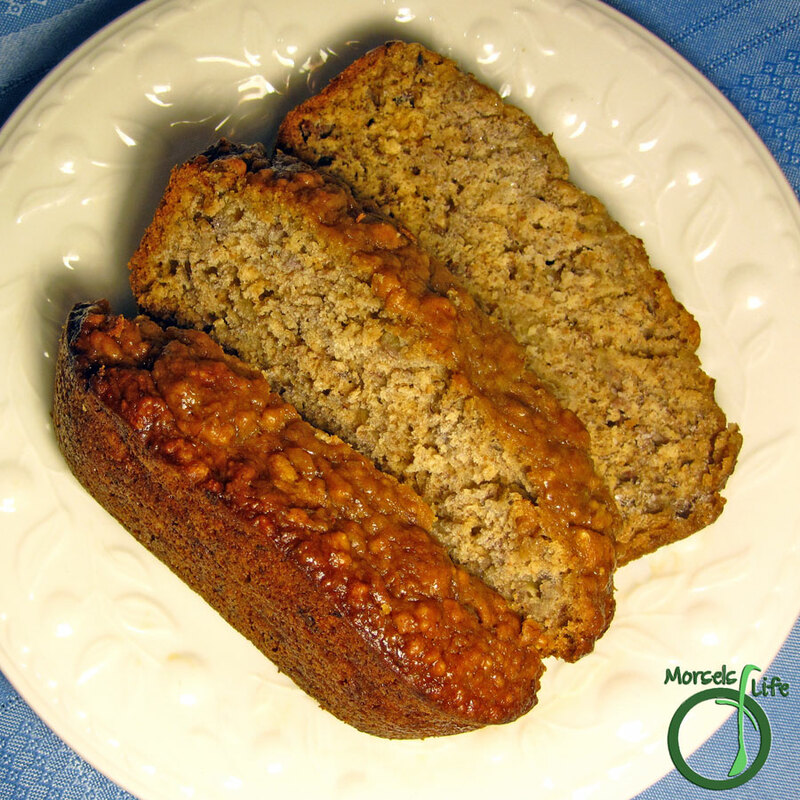 Give this caramelized banana bread a try and let us know what you think! What's your favorite banana bread? Melt butter in a pan, and then add bananas and brown sugar. Stir around a bit until bananas somewhat caramelized. Form Dry Team by combining flour and baking soda. Form Wet Team by combining eggs, milk, vinegar, and slightly cooled caramelized banana mixture. Combine Wet and Dry Teams, and pour into a greased loaf pan. Bake at 375F until golden brown and delicious, approximately 45 minutes. Looks delicious! I am always looking for new banana bread recipes. This looks so good! Love that it uses less sugar:) Glad I saw you on Tasty Thursday. Thank you for linking up to last week's Tasty Thursday! That would go great with the coffee I'm drinking right now! Thanks for sharing on the What's for Dinner Link up! Oh I have been making banana bread for a while but I love the idea of caramelized bananas on top. Takes it to a whole new lever. Great job.